In the state of emergency you might need a winch, it is most likely your car either fell off the road or is stuck in a ditch. 24 Hr Towing Riverside covers this issue in a cinch! Winching service is provided by our professional tow truck operators. We have multiple size winches, with varying length and towing capabilities. 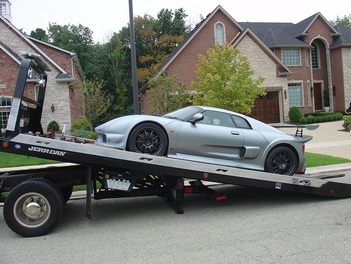 When you call, we will need to model of your car, how far you think it may be from the road, and where you need to be towed. We'll provide you with a winching tow truck in under 30 minutes. In any event, winching is payed by the hour and will be dependent on the size and difficulty of your situation.